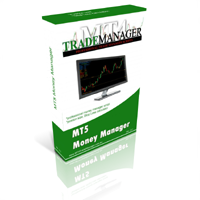 Money Manager calculates the correct position size for each trade accurately and immediately. Calculations are based on the account balance or equity (optional), the risk percentage you set (input) and the Stop Loss distance (lines). 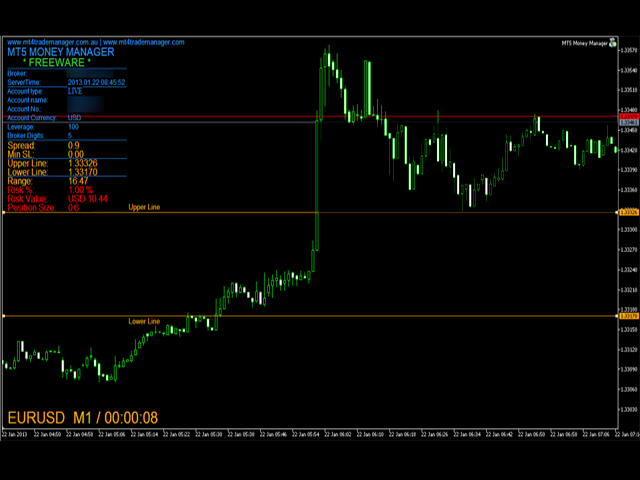 Money Manager also indicates many useful info, like candle time remaining, spread, minimum Stop Loss, etc.